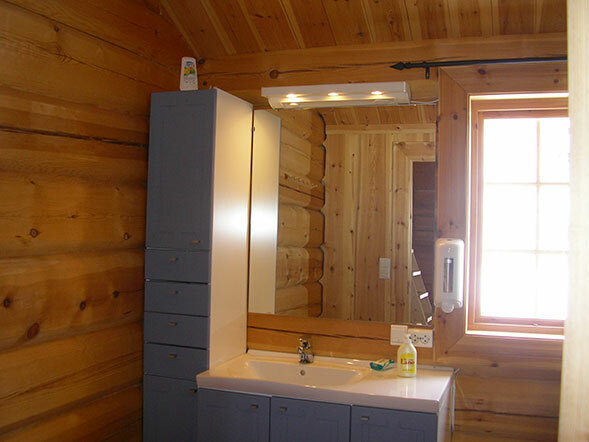 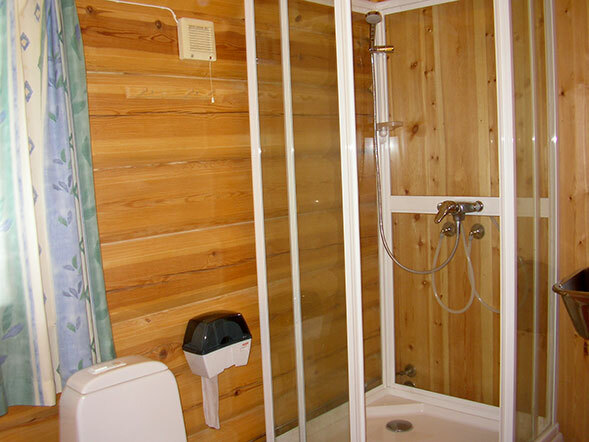 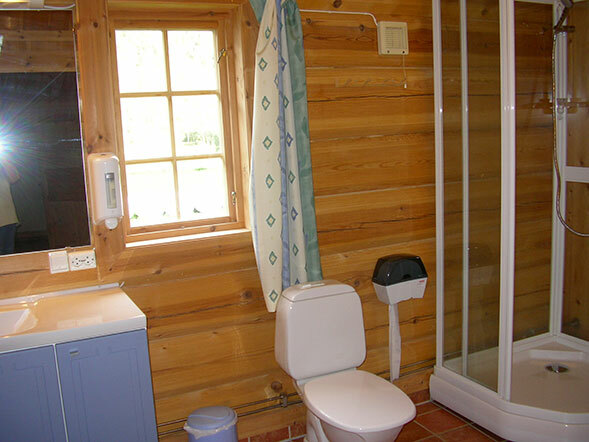 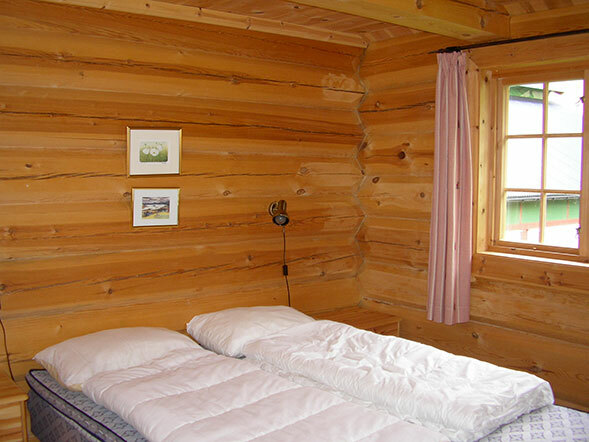 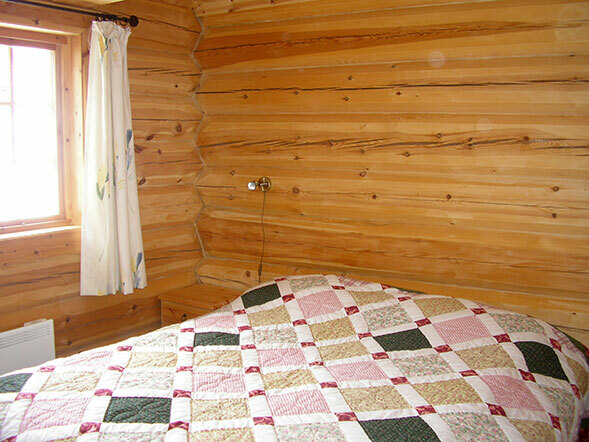 A brand new log cabin,the biggest cabin we have with 2 separate bedrooms, loftroom with 4 beds. 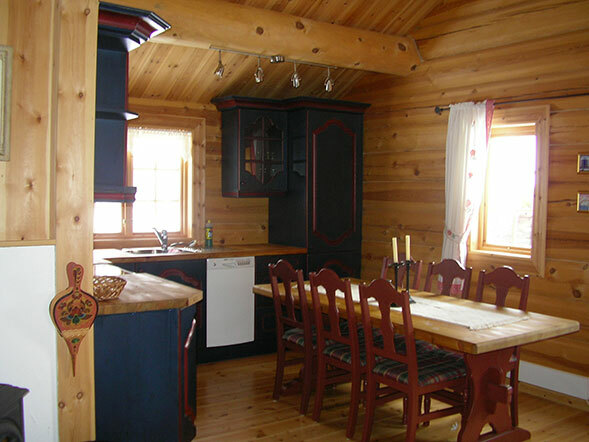 Bathroom and livingroom with kitchen and fireplace. 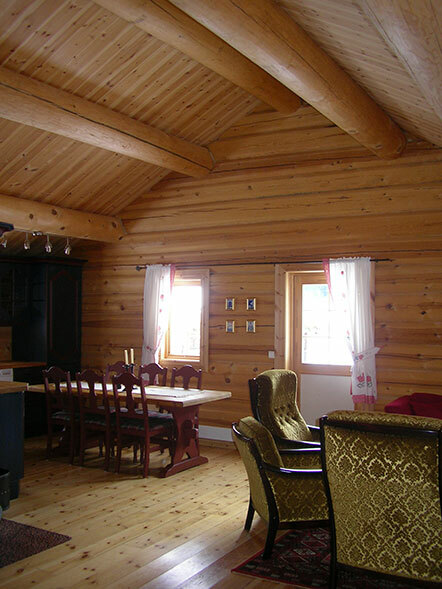 Big, nice terrace. 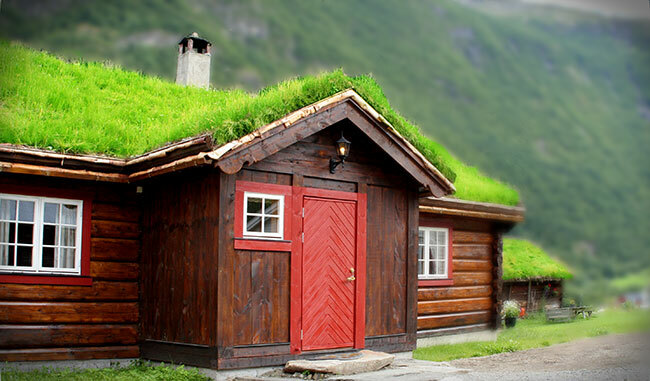 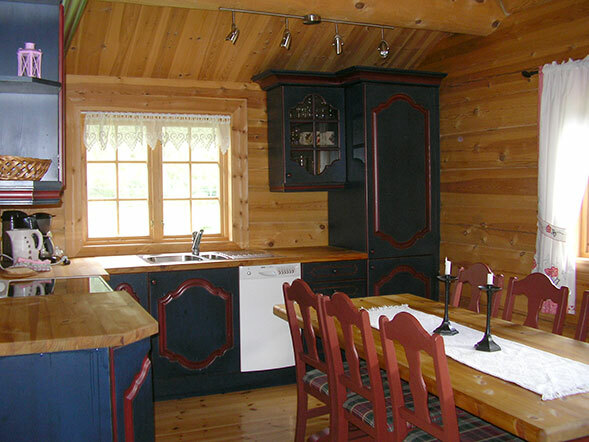 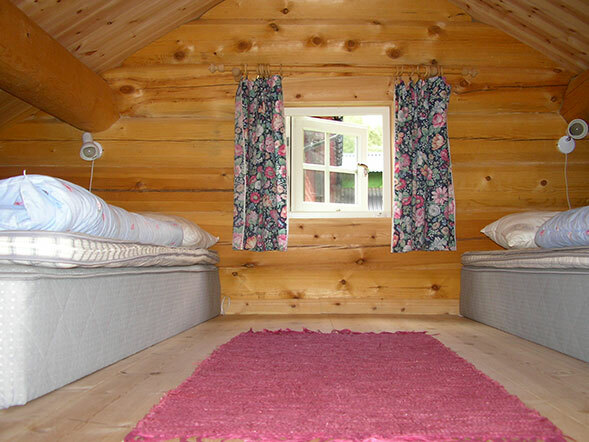 The cabin is nice for 2 couples or small families. 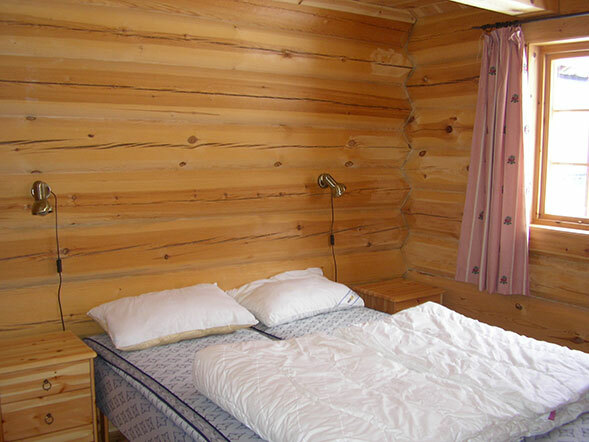 Daily rate varies from 900-1200 NOK. 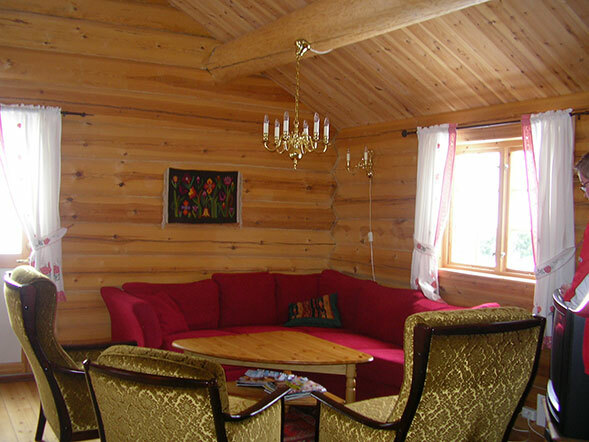 Discount for weekly rental.